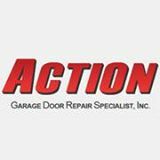 If you need garage door repair in Kyle, look to the experts with Action Garage Door. Over the past 30 years, we have exceeded the expectations of thousands of customers. We are committed to doing the same for you. Our professionals have the skills and tools to solve any garage door problem, no matter how minor or major, with minimal disruption to your normal routine. Everyone associated with our family-owned company is dedicated to delivering the best in customer service. When you choose Action Garage Door, you can count on us to pull any necessary permits so you don’t have to deal with the hassle, and to always use high-quality products built to withstand the harshest elements. Customers throughout the Austin area have put their trust in us, and we look forward to earning your confidence and business as well. Tech identified the problem quickly and got it going again quickly. He made sure all was safe before he left. Friendly and cost was reasonable. Same day show up. Expert technician. Repairs quickly resolved. Overall great experience. Very efficient and quality job! Both men that came out to do repairs on my garage were both respectful and did good quick work. Thank y'all Gentelmen. I called them and they sent someone out within the hour. Fast, Super nice! 8 point motor tune up. We know that you have a lot of choices when it comes to companies that offer garage door repairs, so we go above and beyond when it comes to serving our Kyle customers. Whether we’re helping you with garage door repairs, maintenance services or installations, we’ll work closely with you to tailor our work to your needs and get the job done right the first time. If you’re ready to install a new or replacement garage door on your residential or commercial property, we’ll help you choose a product you’ll be proud to show off. We carry a wide range of reliable, durable models in a variety of styles and colors from top industry manufacturers such as Amarr, Chi, Classica and many others. When you work with Action Garage Door, you can rest assured that you’ll wind up with a model that complements your property perfectly, serving as a true showpiece that will last for years. Get in touch with the professionals at Action Garage Door whenever you need help with garage door repairs or installations in Kyle. Give us a call at 512-213-4905 or contact us online for services you can trust.